Dr. Douglas P. Sinn specializes in facial cosmetic surgery, craniomaxillofacial surgery, jaw surgery, management of disorders of the temporomandibular joint (TMJ), dental implants, and dental alveolar surgery. He is a Clinical Professor, the past Chairman of the Division of Oral and Maxillofacial Surgery (OMS) at the University of Texas Southwestern Medical Center at Dallas, and was on the UT faculty from July 1974 to September 2004. He joined the faculty after completion of his residency at the University of Texas-Parkland Memorial Hospital and its affiliates. Prior to then he received his baccalaureate degree at the University of Iowa, and his dental degree from Creighton University in Omaha, Nebraska. After joining the faculty at UT Southwestern-Parkland Memorial Hospital, he was actively involved in the direction of the resident education and the management of the patients at Parkland Hospital. He was named director of the residency program in 1978, and was promoted to Associate Professor in 1980. In 1984, he was named Chairman of the residency program which coincided with his promotion to full Professor. Dr. Sinn’s clinical interest includes craniomaxillofacial surgery, jaw surgery, management of disorders of the temporomandibular joint, dental implantology, pathology, aesthetic facial surgery and dental alveolar surgery. He currently has an active private practice in facial and oral surgery based in Mansfield, Texas. He has attending staff privileges at Mansfield Methodist Hospital, Medical City Dallas, Baylor University Medical Center and Children’s Medical Center of Dallas. 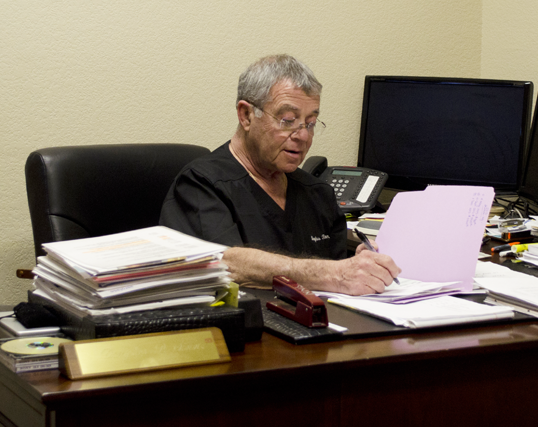 Dr. Sinn is board certified, and served as President of the American Board of Oral and Maxillofacial Surgery. He also served as chairman of the OMS Foundation. Dr. Sinn is well known both nationally and internationally in the specialty of OMS, and has written many articles, books, and book chapters. He has been active as both a speaker and consultant in the OMS. He currently maintains an active role in teaching on a part time basis within the UT Southwestern Medical Center and affiliated hospitals. 2001-2003 OMSF Research Support Grant: Computer Modeling of Oral and Cranio-Maxillofacial Surgical Procedures and Fixation Techniques. Various Procedures in Orthognathic Surgery. Glands: Light Microscopic Studies. J Oral Surg 30:277-283, 1972. Fracture. Am J Roentgenol 128:235-238, 1977. 3. Seshul MD, Sinn DP, Gerlock AJ: The Andy Gump Fracture of the Mandible: A Cause of Respiratory Obstruction or Distress. J Trauma 18:611-612, 1978. 4. Bell WH, Sinn DP: Turbinectomy to Facilitate the Superior Movement of the Maxilla by Le Fort I Osteotomy. J Oral Surg 37:129-130, 1979. Vertical Maxillary Excess and Mandibular Deficiency. J Oral Surg 38:664-670, 1980. America Vol. 25, No.1, January 1981. Neuroglia Heterotopia of Nasopharynx. OS OM OP 52:137-141, 1981. Clinics of North America 25:131-156, 1981. Concomitant Mandibular Advancement. J Maxillofac Surg 10:42-49, 1982. 10. Watson SW, Sinn DP, Neuwalt EA: Dental Considerations in the Sublabial Trans-Sphenoidal Surgical Approach to the Pituitary Gland. Neurosurgery 10:236-241, 1982. 15. Sinn DP, Pollock RA, Rohrich RJ: Facial fractures II: Mandible Fractures. Selected Readings in Plastic Surgery, Vol. 3, #27, October, 1985. Readings in Plastic Surgery, Vol. 4, #26, October, 1987. 17. Sinn DP, Pollock RA, Rohrich RJ: Facial fractures II: Mandibular, Maxillary and Craniofacial. Selected Readings in Plastic Surgery, Vol. 5, #26, October, 1989. Advancement. J Oral Maxillofac Surg 47:697-703, 1989. Reconstructive Surgery: A case report. OS OM OP 68:535-540, 1989.
of the AAOMS Membership. J Oral Maxillofac Surg 48:1211-1216, 1990. Fractures. A Discussion. J Oral Maxillofac Surg 48:1048, 1990. America Vol 2, #4, November 1990. 25. Sinn DP: Mandibular Fractures. Selected Readings in Oral and Maxillofacial Surgery, Vol 1, #5:1-20, 1990. 1991, 1993 & 1995, & 1997. 29. DeFreitas C, Ellis E, Sinn DP: A Retrospective Study of Advancement Genioplasty Using a Special Bone Plate. J Oral Maxillofac Surg 50:340-346, 1992. Muscle Efficiency in Pre-Orthognathic Surgery Patients. J Oral Maxillofac 50:1284-1288, December 1992. 31. Sinn DP, Ghali GE: Advances in Orthognathic Surgery. Current Opinion in Dentistry, Vol 2, No 3, p. 38-41, 1992. 32. Passeri LA, Ellis E, Sinn DP: Relationship of Substance Abuse to Complications with Mandibular Fractures. J Oral Maxillofacial Surg 51:22-25, January 1993. 33. Ellis E, Sinn DP: Treatment of Mandibular Angle Fractures Using Two 2.4-mm Dynamic Compression Plates. J Oral Maxillofacial Surg 51:969-973, September 1993. 34. Ellis E, Sinn DP: Use of Homologous Bone in Maxillofacial Surgery. J Oral Maxillofac Surg 51:1181-1193, 1993. Fistula with a Temporalis Flap. J Oral Maxillofacial Surg 52:197-200, 1994. Pre-Orthognathic Surgery Patients. J Oral Maxillofacial Surg 52:476-482, 1994. 38. Thomas GP, Throckmorton G, Ellis E, Sinn DP: The Effects of Orthodontic Treatment on Isometric Bite Forces and Mandibular Motion in Patients before Orthognathic Surgery. J Oral Maxillofacial Surg 53:673-679, 1995. Patients Undergoing Orthognathic Surgery. J Oral Maxillofac Surg 53:777-783, 1995. Mandibular Advancement Surgery. J Oral Maxillofac Surg 53:898-909, 1995. Repositioning of the Maxilla. J Oral Maxillofac Surg 53:1258-1267, 1995. 42. Ellis E, Throckmorton G, Sinn DP: Bite Forces Before and After Surgical Correction of Mandibular Prognathism. J Oral Maxillofac Surg 54:176-181, 1996. Temporomandibular Joint Disorders. J Oral Maxillofac Surg 54:671-679, 1996. Intrusion and Mandibular Advancement Surgery. J Oral Maxillofac Surg 54:828-837, 1996. Surgical Correction. Int J Adult Orthod Orthognath Surg, Vol 11, No 3, 1996. Before and After Orthoganthic Surgery. J Oral Maxillofac Surg 55:699-706, 1997. Women Using a Custom Computer Program. J Prosthet Dent 78:179-186, 1997. Inferior Repositioning of the Maxilla. J Oral Maxillofac Surg 55:41-49, 1997. Infant Under 24 Months of Age. Plast Reconstr Surg 102: 32-35, 1998. 51. Herford AS, Ellis E, Sinn DP: Use of a Locking Reconstruction Bone Plate/Screw System for Mandibular Surgery. J Oral Maxillofac Surg 56:1261-1265, 1998. Systems in Pediatric Craniofacial Surgery. J Craniofac Surg 9:5:441-444, 1998. 53. Tharanon W, Sinn DP: Mandibular Distraction Osteogenesis with Multidirectional Extraoral Distraction Device in Hemifacial Microsomia Patients: Three-dimensional Treatment Planning, Prediction Tracings, and Case Outcomes. J Craniofac Surg 10:3:202-213, 1999. Cleft. J Craniofac Surg 10:4:369-374, 1999. 57. Tharanon W, Sinn DP: A Modified Circumvestibular Incision for Surgical Approach of Mandibular Symphysis: A Surgical Technique. J Oral Maxillofac Surg 59:1:54-55, 2000. 58. Herford AS, Pulsipher, DA, Sinn DP: Integration of the Medical Degree in Oral and Maxillofacial Surgery: A 10- Year Follow-Up. J Oral Maxillofacial Surg 59:1471-1476, 2001. 60. Sinn DP: Entrevista / Interview. Ortodontia E Ortopedia Facial, Volume 9, Number 2:14-17 – March / April 2004. Center/Parkland Memorial Hospital. J Oral Maxillofac Surg 64:4:571-575, 2006. Temporomandibular Joint: A Case Report. J Oral Maxillofac Surg 64:4:712-718, 2006. 65. Caloss R, Sinn DP: Functional Rhinoplasty-The Assessment and Management of Obstructive Nasal Deformities. 1. Volume 1 – 10 – Editing as Managing Editor, 84 issues, 1993 – 2006. 3. Potter, Jason K, Sinn, Douglas P, Finn, Richard A: “. Consequences & Management of Methicillin-Resistant Staphylococcal Infections in the Maxillofacial Surgery Patient.” In Selected Readings in Oral and Maxillofacial Surgery Volume 13, Number 2. April, 2005. Surgery of the Face”. In Selected Readings in Oral and Maxillofacial Surgery Volume 14, Number 2. May, 2006. 1980, Chapter 7, pp. 200-232. 1980, Chapter 11, pp. 912-916. 4. Gerlock AJ, Sinn DP, McBride KL: Interpretazione Clinica e Radiografica delle Fracture Facciali. Scienza E Tecnion Dentistica Edizioni Internazionali S.N.C., Milano, Italy, 1984. 1987, Chapter 9, pp. 171-193. Care. Levine D, Morriss F (eds.). Quality Medical Publishing, Inc., St. Louis, Missouri, 1990. 9. Sinn DP, Ghali GE: “Management of Intraoperative Complications of Orthognathic Surgery”. In: Oral and Maxillofacial Surgery Clinics of North American. West RA (ed. ), Vol 2, No 4, WB Saunders Company, Philadelphia, 1990. Surgery. WB Saunders Company, Philadelphia, 1992. 11. Bell WH, Darab DJ, Sinn, DP: “Correction of Mandibular Deficiency by Sagittal Split Ramus Osteotomy (SSRO)”. Company, 1992, Chapter 64, pp. 2361-2376. 12. Sinn DP, Karas KD: “Imaging in Orbital Trauma”. In: Oral and Maxillofacial Surgery Clinics Orbital Trauma. Schendel, SA (ed). WB Saunders Company, Vol 5, No 3, pp. 431-442, 1993. 13. Sinn DP, Ghali GE (eds): “Oral and Maxillofacial Surgery Clinics, Combined Orthognathic and Aesthetic Surgery”. 18. Sinn DP, Ghali GE: “Orthognathic Surgery”. In: Atlas of Head and Neck Surgery. Raven Press. In press. America. Rebecca Schmidt (ed. ), Vol 8, No 2, WB Saunders Company, Philadelphia, 2000. 20. Ghali GE, Sinn DP, Tantipasawasin S: “Management of Nonsyndromic Craniosynostosis”. In: Atlas of the Oral and Maxillofacial Surgery Clinics of North America. Barry Steinberg (ed. ), Vol 10, No 1, WB Saunders Company, Philadelphia, 2002. 21. Tantipasawasin S, Sinn DP, Ghali GE: “Management of Syndromic Craniosynostosis”. In: Atlas of the Oral and Maxillofacial Surgery Clinics of North America. Barry Steinberg (ed. ), Vol 10, No 1, WB Saunders Company, Philadelphia, 2002. 23. Ghali, GE, Sinn DP: “Craniosynostosis”. In: Peterson’s Principles of Oral and Maxillofacial Surgery, Second Edition. Michael Miloro, Peter E. Larsen, G. E. Ghali, and Peter D. Waite (eds), BC Decker, Inc., Hamilton, Ontario, Canada, 2003. 24. Miles, B., Sinn, D. Bilateral Metastatic Breast Adenocarcinoma within the Temporomandibular Joint: A case report. Journal of Oral and Maxillofacial Surgery – 2005. 1. Sinn DP, Hill MF: Evidence of Sexual Dimorphism in the Submandibular Gland of the Marmoset, 1970. 2. Sinn DP, Epker BN: Histologic and Autoradiographic Study of Aging Salivary Glands, NIH 1974. Resonance Imaging of the Human Temporomandibular Joint, 1988. 5. Passeri LA, Ellis E, Sinn DP: Complications of Mandibular Fractures: Relationship to Substance Abuse. Utilizing Silicon Impressions and Inlay Wax Casts. IADR, Abstract #367, l979. 2. Sinn DP, Brammer J, Bell WH, Finn RA: Stability of Bi-Maxillary Surgery in the Long Face Patient. Abstract Presented at the 30th Congress of the German Society for Oral and Maxillofacial Surgery, Zurich, Switzerland, May 19-23, 1980. 3. Walker RV, Bell WH, Sinn DP: Open Bite Deformity Secondary to Condylar Destruction by Rheumatoid Arthritis: Correction by Maxillary Intrusion. Abstract Presented to the 30th Congress of the German Society for Oral and Maxillofacial Surgery, Zurich, Switzerland, May 19-23, 1980. 4. Bell WH, Sinn DP, Finn RA, Walker RV: Planning for Maximal Biomechanical Efficiency, Esthetics and Skeletal Stability with Cephalometric Prediction Studies. Abstract Presented at the 30th Congress of the German Society for Oral and Maxillofacial Surgery, Zurich, Switzerland, May 19-23, 1980. Superior Repositioning. IADR, Abstract, 1987. Mandibular Advancement Surgery. AAOMS, Abstract, 1987. Suspension. AAOMS, Poster Session, 1987. 8. Boyd SB, Karas ND, Sinn DP: Mandibular Mobility Following Orthognathic Surgery. IADR, Abstract, 1988. 10. Kim YG, Kalamchi S, Sinn DP, Boyd SB: Stability of Simultaneous Maxillary and Mandibular Surgery. IADR, Abstract, 1988. Human TMJ. IADR, Abstract, 1988. 12. Boyd SB, Karas ND, Sinn DP: Recovery of Mandibular Mobility Following Orthognathic Surgery. AAOMS, Abstract, 1988. Orthognathic Surgery. AAOMS, Abstract, 1988. 14. Polido WD, Ellis E, Sinn DP: An Assessment of the Predictability of Maxillary Surgery. AAOMS, Abstract, 1989. 16. Sinn DP: Resorbable Plating Systems. German Society of Oral and Maxillofacial Surgeons Meeting, May 1997. Microsomia Patients. ICOMS, Abstract, April 1999. 18. Sinn DP, Tharanon W, Watson S: Comparative Study of Tension of Forehead Flap with and without Intraoral Release Dissection in Endoscopic Browlift. American Association of Oral and Maxillofacial Surgery Annual Meeting, October, 1999. Association of Oral and Maxillofacial Surgery Annual Meeting, October, 1999. 20. Tharanon W, Sinn D, Kumar S, Chuong C: Distribution of Stress and Strain at the Midfacial Skeleton due to Compressive Load at the Maxillary Dentition. American Association of Oral and Maxillofacial Surgery Annual Meeting, October, 1999. 21. Herford AS, Pulsipher A, Tantipasawasin S, Sinn DP: Replacement of Eyes, Ears, and Nose with Craniofacial Implant Retained Prostheses. American Association of Oral and Maxillofacial Surgery Annual Meeting, September, 2000. 22. Sinn DP: Total Temporomandibular Joint Reconstruction: Five-Year Clinic Trial. American Association of Oral and Maxillofacial Surgery Annual Meeting, September, 2001. Maxillofacial Surgery Annual Meeting, October, 2002. 07/11-18 Venezuela Society of Oral and Maxillofacial Surgeons, lecturer. 07/21-23 Florida Society of Orthodontists, lecturer. 10/14-15 Dentofacial Deformities Symposium, The University of Texas Southwestern Medical School, Dallas TX, lecturer. 11/01-06 Society of Oral and Maxillofacial Surgeons, Santiago, Chile, lecturer. 01/09-13 Surgical Orthodontic Treatment Planning Course, The University of Texas Health Science Center, Division of Oral Surgery, Dallas TX, lecturer. 01/19-22 Clinical Congress, American Association of Oral and Maxillofacial Surgeons, lecturer. 03/05-06 Annual Meeting of the Southwest Society of Oral and Maxillofacial Surgeons, lecturer. 04/30 -03 Surgical Orthodontic Treatment Planning Course, The University of Texas Health Science Center, Dallas TX, lecturer. 05/08-11 (1) Combined American Association of Oral and Maxillofacial Surgeons and American Academy of Oral Pathologists Meeting, Oral Mucosal Pathology, and (2) Oral and Maxillofacial Surgery Residency Training Program Directors Conference, attendee. 05/17-18 American Association of Oral and Maxillofacial Surgeons, Committee on Scientific Sessions, Chicago IL, attendee. 05/24-25 Texas Oral and Maxillofacial Surgery Residents Annual Meeting, lecturer. 09/13-18 American Association of Oral and Maxillofacial Surgeons, Annual Meeting, New York NY, attendee. 11/08-09 American Association of Oral and Maxillofacial Surgeons, Committee on Scientific Sessions, Chicago IL, attendee. 10/03-07 American Association of Oral and Maxillofacial Surgeons, 67th Annual Meeting, Washington DC, attendee. 10/24-25 American Association of Orthodontists and American Association of Oral and Maxillofacial Surgeons, Committee Meetings, St. Louis MO, attendee. 01/31-02 American Association of Oral and Maxillofacial Surgeons, Clinical Congress, Anaheim CA, lecturer. 05/08-11 American Association of Oral and Maxillofacial Surgeons, Committee on Scientific Sessions, Chicago IL, attendee. 09/23-28 American Association of Oral and Maxillofacial Surgeons 68th Annual Meeting, New Orleans LA, attendee. 11/03-04 American Association of Oral and Maxillofacial Surgeons, Committee on Scientific Sessions, Chicago IL, attendee. 11/15-21 Louisiana State University and Charity Hospital, l2th Annual Course in Oral and Maxillofacial Surgery, New Orleans LA, lecturer. 09/15-20 Annual Meeting of the American Association of Oral and Maxillofacial Surgeons, Anaheim CA, attendee. 10/08-11 American College of Dentists, Las Vegas NV, attendee. 10/22 Brook Army Hospital, Oral and Maxillofacial Surgery Residency Program, Fort Sam, Houston TX, lecturer. Deformities), Campinas, Brazil, lecturer, l2 hours. 11/04 Northwestern University, Department of Oral and Maxillofacial Surgery Resident Conference, Chicago IL, lecturer. 11/14-20 Thirteenth Annual Comprehensive Course in Oral and Maxillofacial Surgery, New Orleans LA, course presenter, "Evaluation and definitive treatment of maxillofacial injuries and head and neck infections." Francisco CA, (presented a series of four lectures). Surgeons, 1988 Clinical Congress, Tucson AZ, attendee. 04/22-23 Second Annual Facial Fracture Surgery: An Educational Symposium, Atlanta GA, lecturer. 04/28-02 Second Invitational Conference on Oral and Maxillofacial Surgery, Hamilton, Bermuda, attendee. 05/20 Walter Reed Army Medical Center, Department of Oral Surgery Residency Program, Washington DC, lecturer. 07/27-30 Meeting of the Brazilian Society of Oral and Maxillofacial Surgeons, Rio de Janeiro, Brazil, lecturer. 09/05-07 Meeting of the Florida Society of Oral Surgeons, Orlando FL, lecturer. 10/06-07 64th Annual Meeting of the American College of Dentists, Washington DC, lecturer. 10/27-30 Meeting of the American Academy of Cosmetic Surgery, Ft. Lauderdale FL, lecturer. 11/13 14th Annual Comprehensive Course in Oral and Maxillofacial Surgery, New Orleans LA, lecturer. 01/20-21 Surgical Oral Pathology, Baylor College of Dentistry, Dallas TX, lecturer. 02/14-15 Advanced TMJ Arthroscopy, The Pacific Clinical Research Foundation, LaJolla CA, attendee. 04/12-14 International Conference on Maxillofacial Trauma, Knoxville TN, lecturer. 04/15-17 Rhinoplasty Course, Miami FL, attendee. Orthognathic and TMJ Surgery, Chicago IL, lecturer. 05/15-16 Basic TMJ Arthroscopy: A Hands-on Workshop, San Diego CA, lecturer. 05/25-26 The Transmandibular Implant: A Solution to Management of the Severely Atrophic Mandible, Dallas TX, attendee. 06/23-24 State of the Art – 1989 – A National Multi-Disciplinary Conference on Temporomandibular Joint Diseases, New York NY, lecturer. 01/06 Review Course in Oral and Maxillofacial Surgery – Louisiana State University, attendee and speaker – Midface Trauma. 01/17 Rhinoplasty Lab Course with Cadaver Dissection (Faculty Pre-meeting Course). 01/18 Educational Program Directors Update/American Association of Oral and Maxillofacial Surgeons. 01/19-21 Oral Implant Update – American Association of Oral and Maxillofacial Surgeons Clinical Congress. 02/17-24 American Board of Oral and Maxillofacial Surgery Oral Examinations, Director. 03/16-18 Advanced Surgical Orthodontic Treatment Planning Course, Dallas TX. 04/06-08 Techniques in Cervical-Facial Lipectomy, Rhinoplasty, and Blepharoplasty (Cadaver Course Hands On), speaker and attendee. 05/28-06/05 German Society of Oral and Maxillofacial Surgeons – Attended Complete Course and Speaker – Painfacial Trauma Innsbruck, Austria Freiburg, Germany – Site Review of Educational Program. 09/12-15 Annual Meeting of American Association of Oral and Maxillofacial Surgeons. 10/15-18 Surgical Orthodontic Treatment Planning. 02/06-10 American Association of Oral and Maxillofacial Surgeons Annual Clinical Congress, Washington DC. 02/15-23 American Board of Oral and Maxillofacial Oral Examination, Chicago IL, Director. Maxillofacial Surgeons Annual Meeting, Austin TX. Maxillofacial Surgery, Part I, Chicago IL, speaker. 04/25-26 Bosker TMI Workshop, Dallas TX, speaker. 05/03-05 Advances, Refinements, Complications in Orthognathic Surgery, Dallas TX, speaker. 05/15 Orthognathic Surgery Conference, University of Texas Health Science Center at San Antonio, speaker. 05/18-19 Course in Functional and Aesthetic Surgery of the Nose, LSU Medical Center, New Orleans LA. Maxillofacial Surgery, Part II, Chicago IL, speaker. 09/16-22 Louisiana State University Board Review Course and Maxillofacial Plastic Surgery Course, speaker. 01/30-02/02 American Association of Oral and Maxillofacial Surgeons Annual Clinical Congress, San Antonio TX. 02/22-29 American Board of Oral and Maxillofacial Surgeons Oral Examination, Chicago IL, Director. 03/12-16 Southern California Society of Oral and Maxillofacial Surgeons Annual Meeting, Palm Springs CA, speaker. 04/08-12 XI International Conference on Oral and Maxillofacial Surgery, Buenos Aires, Argentina, speaker. 05/08-09 Transplantation Perspectives, Present and Future, Dallas TX, speaker. 09/14-18 Annual Meeting of the American Association of Oral and Maxillofacial Surgery, Honolulu HI. 10/31-08 Louisiana State University Board Review Course and Maxillofacial Plastic Surgery Course, speaker. 12/03-04 Mexico Society of Oral and Maxillofacial Surgeons, Mexico City, Mexico, speaker. 02/04-08 American Association of Oral and Maxillofacial Surgery Clinical Congress, New York NY. 02/19-28 American Board of Oral and Maxillofacial Surgeons Oral Examination, Chicago IL – Director. 03/28 New York State Society of Oral and Maxillofacial Surgeons, speaker. 04/15-18 Southwest Society of Oral and Maxillofacial Surgeons Annual Meeting, South Padre Island TX. 05/12-14 United States Air Force Base Department of Oral and Maxillofacial Surgeons at Tripler Air Force Base, speaker. 06/12 Commencement Address to Department of Oral and Maxillofacial Surgery at the University of Iowa. 11/18-21 Louisiana State University Board Review Course and Maxillofacial Plastic Surgery Course, speaker. 02/10-13 American Association of Oral and Maxillofacial Surgery Clinical Congress, Dallas TX. 02/18-25 American Board of Oral and Maxillofacial Surgeons Oral Examination, Chicago IL – President. 03/20-22 New York State Society of Oral and Maxillofacial Surgeons, speaker. 04/20-24 11th Annual Meeting of Latin American Congress on Traumatology and Oral Surgery, speaker. 06/24-26 Houston Orthodontic Alumni Association, Houston TX, speaker. 07/11-15 American Board of Oral and Maxillofacial Surgeons, Wintergreen FL, speaker. 09/02-06 The Hague, Netherlands, speaker. 09/28-10/02 American Association of Oral and Maxillofacial Surgeons Annual Meeting, Denver CO, speaker. 11/02-05 LSU-Oral/Cosmetic Surgery Review Course, New Orleans LA, speaker. 11/18-20 The Walter Lorenz Clinical Day, Toronto, Canada, keynote presenter. Surgical Skills Course Developed by CIG on Cosmetic Maxillofacial Surgery. 09/13-17 American Association of Oral and Maxillofacial Surgeons, Toronto, Ontario Canada, speaker. 11/10-12 Louisiana State University Medical Center, New Orleans LA, lecturer. 01/12-14 Southern California Society of Oral and Maxillofacial Surgeons, Palm Springs CA. 02/13 Hendrick Medical Center, Abilene TX – Diagnosis and Management of Temporomandibular Joint Disease, speaker. 02/15-18 Atlanta AAO & AAOMS, Atlanta GA. Course – Distraction Osteogenesis AKA the Ilizarov Technique. 03/23 Luxar Corporation, Dallas TX. Course – CO2 Surgical laser Techniques and Applications. 03/26-30 Rome, Italy. – Orthognathic Surgery, speaker. Techniques in Facial Aesthetic and Reconstructive Surgery: New Technology or Improved Results? 11/18-21 Louisiana State University Board Review Course and Maxillofacial Plastic Surgery Course, New Orleans, LA. 01/11 Southern California Society of Oral & Maxillofacial Surgeons, Palm Springs, CA. Course – CO2 in Oral and Maxillofacial Surgery. 02/05-09 AAOMS Midwinter Meeting, Chicago, IL, speaker. CIG on Cosmetic Maxillofacial Surgery. 03/05-09 William Ware Lectureship and Visiting Professorship, San Francisco, CA, speaker. 04/02 Thirteenth Annual Benjamin J. Gans Memorial Lecture, Chicago, IL, speaker. 1. Current Surgical Treatment and Outcomes of TMD Patients. 2. Aesthetic Oral & Maxillofacial Surgery. 04/16-19 Donald B. Osbon Memorial Lecture/University of Iowa, Iowa City, IA, speaker. 05/20-24 German Society Meeting of Oral & Maxillofacial Surgeons, Hamburg, Germany, speaker. 06/20-22 The Facial Plastic & Cosmetic Surgical Center, Abilene, TX. Course – Live surgery, Cadaver Dissection course on the Extended Subperiosteal Coronal Lift and Advanced Facelifting including Endoscopic Surgery, Eyelid, and Brow Surgery. 09/14-21 American Association of Oral & Maxillofacial Surgeon Annual Meeting, Scientific Sessions & Exhibition, Seattle, WA, speaker: Rhinoplasty in conjunction with Orthognathic Surgery. Problems and Possible Solutions in the USA in the Education of an Oral & Maxillofacial Surgeon. 10/30-01 Lectures: Advances and Innovations in the Management of Craniomaxillofacial Trauma, Dallas TX. 1. Lag Screws in Mandibular Fractures. 2. Resorbable Plating Systems in Craniomaxillofacial Surgery. 11/13-14 Louisiana State University Board Review Course and Maxillofacial Plastic Surgery Course, New Orleans, LA, speaker. Pan Facial Fractures, Nasal Surgery in Conjunction with Orthognathic Surgery. 12/4-7 Images Institute of Aesthetic Surgery, A Live Cosmetic Surgical Symposium, Fredericksburg, TX, speaker. Upper Face Rejuvenation. Aesthetic Surgery in Conjunction with Orthognathic Surgery. 03/31-04/07 Update in Maxillofacial Surgery Course, Santiago, Chile, speaker. 4. Distraction osteogenesis and its application in the Maxillofacial region with case presentations. 04/16-19 Southwest Society of Oral and Maxillofacial Surgeons Annual Meeting, San Antonio, Texas, attendee. 04/29-05/03 Plastische Operationen MKG – Chirugie, Krefeld Uerdingen, Germany, speaker. 1. Orthognathic Surgery Combined with Rhinoplasty. 2. Surgical Outcomes in Craniofacial Surgery using Bioresorbable Plates and Screws. 09/16-20 American Association of Oral & Maxillofacial Surgeon Annual Meeting, Scientific Sessions & Exhibition, New Orleans, Louisiana, speaker. Simultaneous Rhinoplasty and Orthognathic Surgery. 10/31-11/01 Intraoral Distraction Osteogenesis Course, Baylor College of Dentistry, Dallas, Texas, speaker. Three Dimensional Planning for Distraction Osteogenesis of Craniofacial Region: Prediction Tracing and Device Setting. 11/19-22 Louisiana State University Board Review Course and Maxillofacial Plastic Surgery Course, New Orleans, LA, speaker. 1. Midfacial Fractures – LeFort’s I, II, III and Fractures of the Upper Facial Third. 2. Combined Rhinoplasty/Esthetic Surgery with Orthognathic Surgery. 04/09-11 Southwest Society of Oral and Maxillofacial Surgeons Annual Meeting, New Orleans, LA, attendee. Dimensional Planning for Distraction Osteogenesis in Hemifacial Microsomia Patients. 09/01-08 Brazilian Congress of Oral and Maxillofacial Surgery and Traumatology, Recife, Pernambuco, Brazil, presenter. 1. An Update on Combined Surgery – Current Techniques in Orthognathic Surgery. 2. Bone Loss – Reconstruction. 09/29-10/03 American Association of Oral and Maxillofacial Surgeons Annual Meeting, Boston, MA, presenter. 2. Simultaneous Rhinoplasty and Orthognathic Surgery. 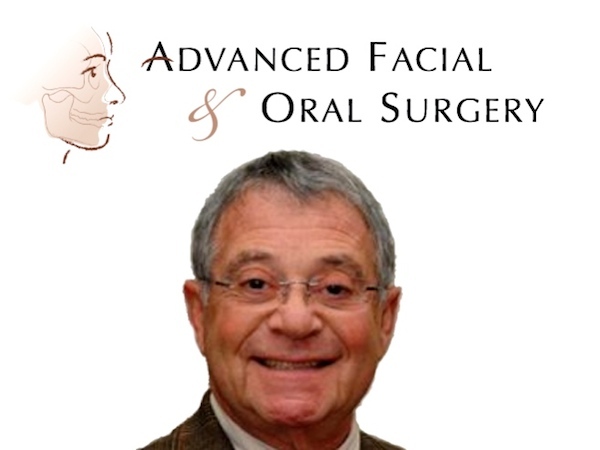 Cosmetic Maxillofacial Surgery, New Orleans, LA, speaker. 01/24-25 Oral and Maxillofacial Surgery Foundation Program Committee Meeting, Chicago, IL, attendee. 02/04-06 American Association of Oral and Maxillofacial Surgeons Joint Midwinter Conference, Orlando, FL, presenter. 1. TMJ Treatment in the Last Century: What Have We Learned? 04/07-09 Southwest Society of Oral and Maxillofacial Surgeons Annual Meeting, Austin, TX, attendee. 04/26-05/1 Symposium of Plastic/Reconstructive Facial Surgery, Sylt, Germany, presenter. 05/24-26 III Curso Internacional de Actualizacion en Cirugia Maxilofacial, Santiago, Chile, presenter. 08/17-20 Circle of Surgeons, Paradise Island, Bahamas, attendee. 08/20-26 Latin American Association of Oral and Maxillofacial Surgery, La Paz, Bolivia, presenter. 09/20-23 American Association of Oral and Maxillofacial Surgeons Annual Meeting, San Francisco, CA, attendee. 10/13-14 Zygoma Fixture Training 2000, Dallas, TX, attendee. 11/16 Combined Aesthetic and Orthognathic Surgery, Bismark, ND, presenter. 01/18-21 11th Annual Course in Advanced Cosmetic Maxillofacial Surgery, New Orleans, LA, presenter. 02/09-11 2001 AAOMS/AAFPRS Midwinter Conference, Tampa, FL, presenter. 03/30-31 SOSO Study Group, Windsor, Ontario, Canada, presenter. 04/18-21 SWSOMS Annual Meeting, Phoenix, AZ, presenter. 05/15 Rhode Island Dental Association, East Providence, RI, presenter. 05/19-24 15th International Conference on Oral and Maxillofacial Surgery, Durban, South Africa, presenter. 08/08-12 2001 Circle of Surgeons Meeting, Zurich, Switzerland, attendee. 08/25-26 District V Caucus, Austin, TX, attendee. 09/03-08 19th Annual ANZAOMS Conference, Gold Coast, Queensland, Australia, presenter. 09/12-16 84th Annual AAOMS Meeting, Orlando, FL, presenter. 03/27-29 Thai Association of Oral and Maxillofacial Surgery, Patumwan Bangkok, Thailand, presenter. 04/18-21 SWSOMS Annual Meeting, Santa Fe, NM, attendee. 05/17-19 Meeting of the American Academy of Cosmetic Surgery, Ft. Lauderdale FL, lecturer. 09/12-14 12th Annual Course in Advanced Cosmetic Maxillofacial Surgery, New Orleans, LA, presenter. 10/02-05 85th Annual AAOMS Meeting, Chicago, IL, presenter. 02/23-03/02 Latin American Association of Oral and Maxillofacial Surgery, Republic of Panama, presenter. 04/10-13 SWSOMS Annual Meeting, San Antonio, TX, attendee. 06/15-22 German Society of Oral and Maxillofacial Surgeons Annual Meeting, Krefeld Germany, presenter. 09/10-13 AAOMS 85th Annual Meeting and Scientific Sessions, Orlando, Florida, presenter of poster. 09/28-10/05 13th Annual Course in Advanced Cosmetic Maxillofacial Surgery, New Orleans, LA, presenter. 10/08 Implants and Immediate Load, Bone Action or Reaction, Astra Tech (AGD Sponsor # 91179), attendee. 04/07 Risk Management for the Oral and Maxillofacial Surgeon, Bellagio Hotel, Las Vegas, NV– 4 hours. 06/05 Minimally Invasive Facial Rejuvenation with Maximal Results Live Surgery Workshop American Academy of Cosmetic Surgery – Plano, TX – 18 hours. 9/21-24 Symposium on Cosmetic Surgery: The Face Lift, 87th AAOMS Annual Meeting, Boston, MA –2 hours. 9/21-24 Symposium on Pharmacology for Outpatient Anesthesia: Part 2, 87th AAOMS Annual Meeting, Boston, MA –2 hours. Meeting, Boston, MA –1 _ hours. 9/21-24 Symposium on Adjunctive Therapy in Bone Healing, 87th AAOMS Annual Meeting, Boston, MA –2 hours. 10/28 Pillar Procedure Training, Plano, Texas. Meeting – Palm Springs, CA – 3 hours. 04/29 Transitional Implants for Orthodontic Anchorage and Clinical Applications for Zygomatic Implants, Southwest Society of Oral & Maxillofacial Surgeons – Palm Springs, CA – 3 hours. 05/07-11 IAAMS XVII Annual Meeting – San Antonio, TX – 10 hours. 07/29 Texas A&M Health Science Center: How to Optimize Esthetics in Implant Dentistry Current Potential & Limitations. Dallas, TX- 6 hours. 7, 2006 – 6 hours. 02/17 3i Innovations Seminar – UT Southwestern: Dallas, Texas – 5 hours. Meeting – Asheville, NC – 3 hours. 10/10-13 American Association of Oral and Maxillofacial Surgeons-89th Annual Meeting, Honolulu, HI – 9.5 hours. 03/31 The Straumann Company, Education & Training: Anterior Esthetics Options Using CAD Technology.